Home / Unlabelled / Popular Yoruba Actor, Honourable Alfred Rotimi Popoola aka Ilu Venture Is Dead! 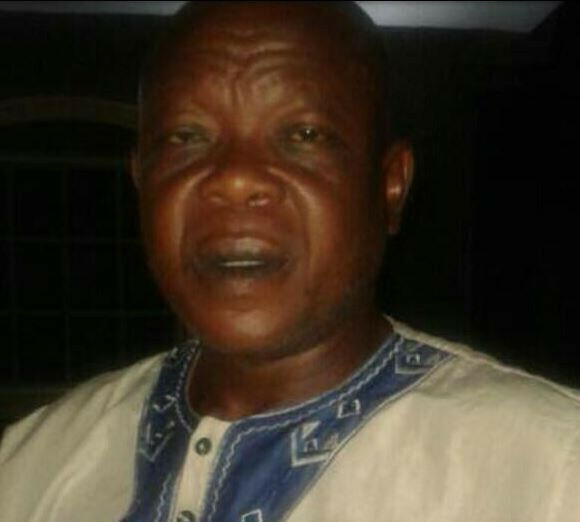 Popular Yoruba Actor, Honourable Alfred Rotimi Popoola aka Ilu Venture Is Dead! The entire Yoruba movie Industry, especially the Abeokuta, Ogun State chapter of the association has been thrown into mourning mood as one of the great actors in the city kicked the bucket last night. It is the sudden death of popular actor, Honourable Alfred Rotimi Popoola aka Ilu Venture. He died yesterday, Wednesday 27th February 2019 after a brief illness. He will be buried in Abeokuta today. A statement made available by Abeokuta chapter of TAMPAN, read thus: “It saddens me to announce the untimely death of our beloved colleague *Hon. Alfred Rotimi Popoola aka Ilu Venture*. After brief sickness today *27th Feb., 2019. * There will be a short memorial service at St Jude Cathedral, Church, Iberekodo, Abeokuta by 12:00noon tomorrow. *In order to give him last respect we planned to join the family at Lantoro Mortuary by 10am tomorrow from where we will move to the church. * May his soul rest in peace! Ilu oooo digba ooo se! *_Signed: His Excellency Comrade Owolabi Ajasa jp_* *Femisolajaismyname* PRS Ogun State TAMPAN”.